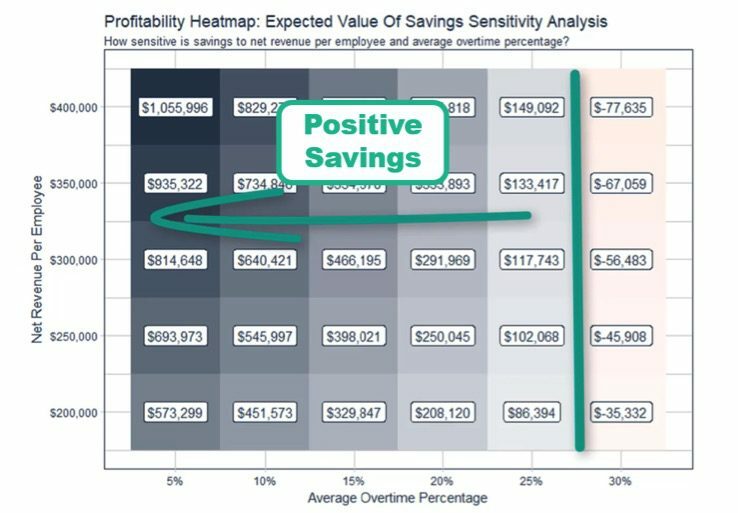 One of the most difficult and most critical parts of implementing data science in business is quantifying the return-on-investment or ROI. 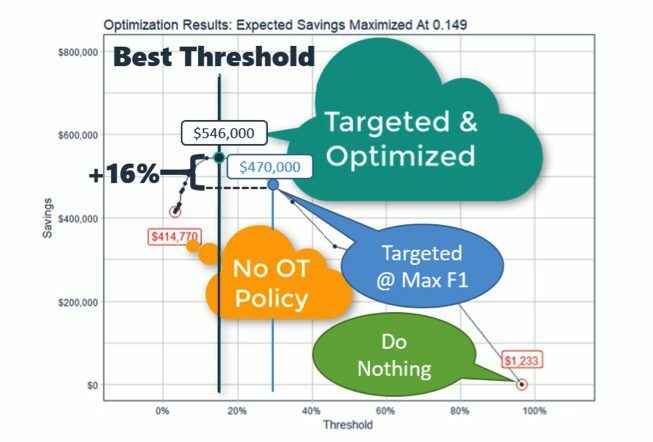 In this article, we highlight three reasons you need to learn the Expected Value Framework, a framework that connects the machine learning classification model to ROI. Further, we’ll point you to a new video we released on the Expected Value Framework: Modeling Employee Churn With H2O that was recently taught as part of our flagship course: Data Science For Business (DS4B 201). The video serves as an overview of the steps involved in calculating ROI from reducing employee churn with H2O, tying the key H2O functions to the process. Last, we’ll go over some Expected Value Framework FAQ’s that are commonly asked in relation to applying Expected Value to machine learning classification problems in business. Here are the 3 reasons you need to know about Expected Value if you want to tie data science to ROI for a machine learning classifier. We’ll use examples from the DS4B 201 course that are related to employee churn (also called employee turnover or employee attrition). Calculating Expected Attrition Cost From H2O + LIME ResultsWe develop a proposal to reduce overtime using the extremely powerful H2O classification model along with LIME, which explains the results. Like many algorithms, by default we optimize by treating Type 1 and Type 2 errors. This ends up misclassifying people that quit (Type 2 error) at roughly the same rate as we misclassify people that stay as leave (Type 1 error). The cost of overtime reduction for an employee is estimated at 30% of the lost productivity if the employee quits. However, the cost of reducing the overtime incorrectly for someone that stays is 30% or 3x more costly than Type 1 Errors, yet we are treating them the same! The optimal threshold for business problems is almost always less than the F1 threshold. This leads us to our second reason you need to know the Expected Value Framework. Wow! Not only can we test for the optimal threshold that maximizes the business case, we can use expected value to test for a range of inputs that are variable from year to year and person to person. If you’re interested in learning how to apply the expected value framework for your business, we show you how, provide code, and show you other industries where this may apply in our as one of several examples in the Data Science For Business (DS4B 201 course). Bio: Matt Dancho is a Data-Driven Decision Maker. Passionate about learning new tools, building software and working with people to gain insights and make better decisions. Enjoys working with teams and individuals to fuel operational excellence. Based in State College, PA, USA.